I’ve always counseled new entrepreneurs to make great customer experiences a fundamental priority. By doing so, you cultivate deep, rewarding long-term relationships, which is the cornerstone of any successful business. If you want a shining example of the value of great customer service, look no further than Amazon. Their willingness to immediately replace any lost package, no questions asked, is one reason why they are so successful. Although you might not have the resources of Amazon, you can still replicate their dedication to providing the best customer experiences. Nobody knows your shortcomings better than your own clients. 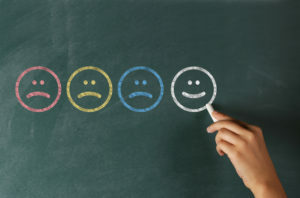 Businesses that make an effort to gather feedback from customers will gain invaluable insights. But this information is only valuable when you take what you have learned and make positive changes as a result. By doing so, you will be known for listening to your customers and valuing their feedback. Be sure to pay close attention to online reviews and provide a timely response to both that are positive and negative. Your customers will appreciate your attentiveness to their needs. You’ve heard the idea that “it’s the thought that counts,” right? Customers are like anyone else; they appreciate thoughtful words or deeds that show they are valued. It doesn’t have to be a grand gesture, either. Sometimes a handwritten follow-up note, small gift or a customer loyalty reward is enough to let them know you don’t take their patronage for granted. The ability to remember someone’s name is a great business skill. Why? Because as Dale Carnegie said, “A person’s name is to him or her the sweetest sound in any language.” People respond favorably to a personalized approach; they appreciate the fact you care enough to remember their name. Moreover, the use of names provides a veneer of familiarity to interpersonal interactions and leaves people feeling good about the interaction. Let’s face it, you can design the world’s greatest customer service protocol, but if your team isn’t dedicated to it, your business will suffer. But if you convince your staff to completely buy into the concept of great service, they will execute your vision and uphold the standards you have customer experiences. For example, anyone who has ever visited an Apple store for help at their famous Genius Bar can attest to the value of dedicated customer service. Apple employees are trained to help you navigate technical issues while making sure you feel good about the process, rather than embarrassed by any technical shortcomings. This kind of personalized service is extremely successful in developing a loyal customer base. Consistently creating positive customer experiences is the fastest way to sustained growth. Incorporate these ideas to cultivate long-term customer relationships for sustained success. Contact me today for help developing your customer service strategy. Customer service is not that hard so I just do not understand why it is not a priority with businesses. If they would realize a smile, using their name or returning a call promptly do not cost a penny and would create lifetime clients.